Making my home a safe space for myself has always been key to managing my food allergy. At home, I don’t have to worry as much about food allergies, and it’s important to be able to have a space where you don’t have to be in a state of constant worry. I consider this to mean my bedroom and TV type room in our house. Our dining room, kitchen, and basement are all areas that experience heavy foot traffic. These main living spaces are where friends & family are coming in and out of, where our dog Colby tends to track the most into, and in general, those are the spaces I still am careful to not touch my face while in without washing my hands. I also try to clean them more often! Ideally I would wet wipe everything coming in from outside, but I haven’t taken it to that level yet. However, that’s not to say I don’t wet wipe a lot of things already! I’m in a band and whenever we play house shows or move our equipment around between vehicles, I make sure to clean my mic as well as my drum sticks, drums, and our many cords. I view the dining room table is a hot spot for potential cross-contamination, it’s where we put our mail, grocery bags, where we sit our bags after work, if someone comes over that’s where we sit, and in general things tend to just collect there. We keep a tablecloth on it so that way it’s easier to clean and won’t scratch or get water stained, but it also tends to collect allergens and dust this way. One trade off for another, I suppose. I’ve mentioned before in previous posts that we don’t keep any type of peanut products in our home, meaning no dog treats with possible peanut products, no face products with possible peanut ingredients, etc. and being sure to keep all food options safe is crucial to make life easier for someone living with a food allergy. I like being able to look in the kitchen and not have to check all the labels again. It’s funny because I normally still do before consuming them, just to be safe, but it’s more of a good habit I’ve developed. I’m not having to do a hard check like I did, or my husband did, the first time. We recently got a large compost bin (pictured below with our dog Colby inside!) after my husband sat in on a class about composting so we could know the basics for ourselves at home. Composting is a wonderful way to cut down on trash, as well as have a less stinky trash can, and create soil to use in your garden during the applicable months! I am becoming huge on gardening to create fresh produce and herbs for myself to use that I know are not contaminated. I overheard a terrifying conversation at a farmer’s market where a vendor was talking about how peanut shells are great to compost with. This was a major red flag to hear. I never thought about that aspect of gardening and how it could potentially be related to my food! 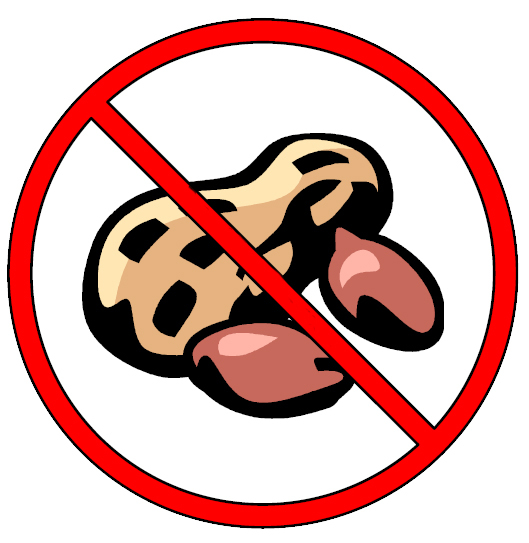 I don’t know if it really can be extremely dangerous, but I know if I saw decomposing peanut shells spread on/around my food I would avoid it like the plague. Much like my discovery about the Grain Flour recall, since the flour was contaminated at the growing source, I knew I now needed to potentially worry about local produce as well. I’m really looking forward to growing some of my own food this next Spring, and expanding my selection a bit more compared to last year! I just dried some sage from our garden this past week with my dehydrator that I’m putting into an old spice jar, and I’m pretty proud of it! I wanted to plant this seed of thought in my blog post, for people who may shop local (which I support 1000%), but who also have severe food allergies. It could be worth beginning to compost if you have the means to, or access to a community garden plot, and beginning to grow some of your own produce. Or it could be a conversation you begin having in the community to get to know your vendors a little more. Unfortunately, products that aren’t for consumption such as potting soil is not required to label for ingredients as seriously as food products. I have looked into some potting soils and mulch, and been led into a blackhole of vague information where I could get no type of confirmation about it or from companies, but all signs pointed to it may be packaged on shared equipment as animal feed, bird seed, or that it contains “compost” with nothing more about it. It may be mushroom or bark compost, but who knows?! In fact, at the compost class my husband attended, he learned in our city of Louisville there is a pilot program that collects wet trash compostables from the downtown business district. They bring it all to a giant compost yard, to then allow it to break down and re-distribute it to companies and sell it as compost. There is so much trash there, and it is so large, it can decompose more than an at-home bin, so even things like meat that you can’t compost in an at-home set up, would be able to be composted there. I know it’s breaking down, but how are we certain it’s all breaking down at the same time? We can’t be. Even if it can’t contaminate the actual food in our garden, if I’m handling it, then it could still potentially contaminate me. After my last post, I was curious exactly where peanuts are grown. I know peanuts can really be grown anywhere, but I assumed most in the U.S. are primarily grown in Georgia. From a website called aboutpeanuts.com I found out that, “Peanuts are grown in the warm climates of Asia, Africa, Australia, and North and South America. India and China together account for more than half of the world’s production. The United States has about 3% of the world acreage of peanuts, but grows nearly 10% of the world’s crop because of higher yields per acre. Other major peanut growing countries include Senegal, Sudan, Brazil, Argentina, South Africa, Malawi, and Nigeria.” Interesting, and noted. Additionally, the website goes on to say, “In the United States, ten states grow 99% of the U. S. peanut crop: Georgia (which grows about 42% of all U. S. peanuts), followed by Texas, Alabama, Florida, North Carolina, South Carolina, Mississippi, Virginia, Oklahoma and New Mexico.” I didn’t know regions of Florida grew peanuts, or New Mexico! I have been on my way to vacation in Florida and needed to pull over to use the bathroom or get a snack, and not only come across boiled peanuts at every single stop, but actually come across some peanut farms in Georgia where I didn’t feel comfortable pulling over for many miles, and I turned the air blower to be inside the car only, as a precaution and to *sort of* ease my mind. The aboutpeanuts.com website has some interesting information, however, I want to challenge some of the history of peanuts details on there with some recent information I heard. I’m going to do some investigating… until next time! Well done! You would also be good in forensic science! Great research and investigative reporting! Be aware and be happy!